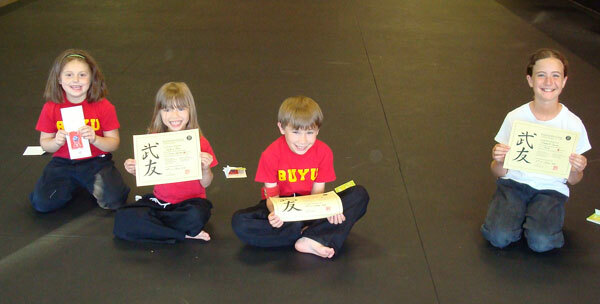 Ninja Kids is a non-competitive class focusing on how to stay safe in everyday activities, sports, and emergency situations where the child may be bullied or attacked. The basics of striking, kicking, katas, techniques, and Japanese vocabulary relevant to a solid foundation in martial arts are all covered. Real weapons are not permitted in the Dojo. Some of the training is taught through the form of games, incorporating life values while keeping it fun. There are no tournaments or trophies, thereby eliminating competition that often has a negative impact on learning. The underlying philosophy is to avoid and escape all dangerous situations, and stay in control of your physical and emotional space. If a child is forced into a fight, the goal is to stay calm and end the situation with an appropriate response. Age specific classes to minimize skill or size differences. 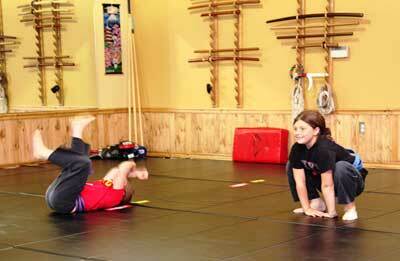 Learning life lessons through self-defense and games. 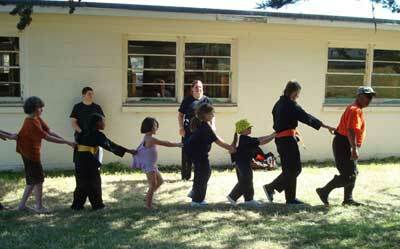 Skilled instructors who enjoy working with kids. Exposure to a foreign language. Emphasis on awareness and self-defense. 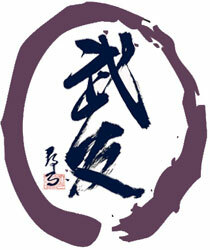 Bujinkan - "Divine Warrior Training Hall"